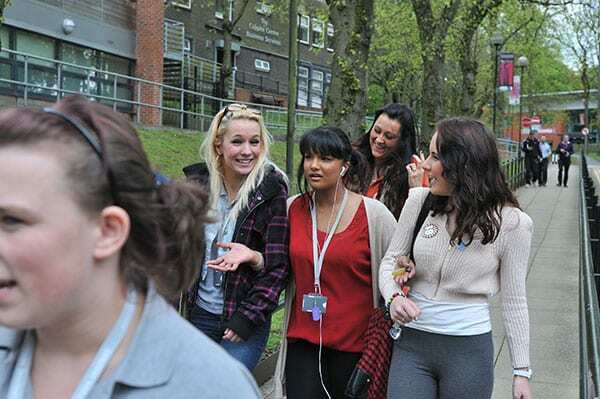 Our campus is not only designed to help you in your studies, but also to ensure you have fun outside of the classroom. If you want a bit of peace and quiet or simply a place to chill and eat lunch, the student common room in the coppice building is a more laid back affair. We also have small ‘chill out zones’ dotted around the campus and number of places to grab a bite to eat and relax. It’s approaching the weekend, you have a calendar jam packed with social events and you want to look your best. You can nip into our salon for a range of hair and beauty treatments at a time to suit you between lessons. Plus, we offer students and their friends amazing prices! Perfect! Click here to view our Season Salon website.